The KAIRA project has been running for some time now and, like most major scientific instruments, there has been a peer-reviewed reference paper produced which describes the facility, its technical capabilities, its scientific goals and the initial results. We have written this paper and it has been accepted by the journal IEEE Transactions on Geoscience and Remote Sensing. ABSTRACT: The Kilpisjärvi Atmospheric Imaging Receiver Array (KAIRA) is a dual array of omnidirectional VHF radio antennas located near Kilpisjärvi, Finland. It is operated by the Sodankylä Geophysical Observatory. It makes extensive use of the proven LOFAR antenna and digital signal-processing hardware, and can act as a stand-alone passive receiver, as a receiver for the European Incoherent Scatter (EISCAT) very high frequency (VHF) incoherent scatter radar in Tromsø, or for use in conjunction with other Fenno-Scandinavian VHF experiments. In addition to being a powerful observing instrument in its own right, KAIRA will act as a pathfinder for technologies to be used in the planned EISCAT_3D phased-array incoherent scatter radar system and participate in very long baseline interferometry experiments. This paper gives an overview of KAIRA, its principal hardware and software components, and its main science objectives. We demonstrate the applicability of the radio astronomy technology to our geoscience application. 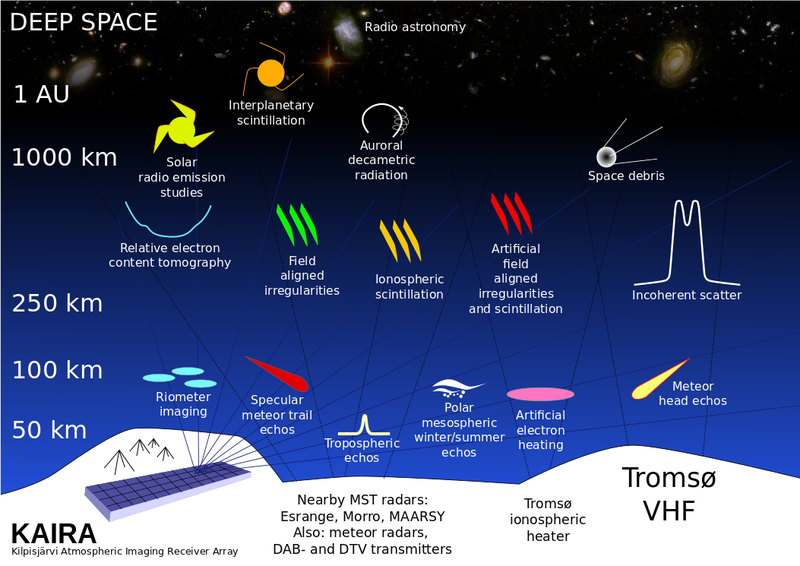 Furthermore, we present a selection of results from the commissioning phase of this new radio observatory. With the publication of this paper, we regard the build and commissioning phase of the KAIRA facility as being complete. As a result, the time has come to close the KAIRA web log, which was written for the purposes of reporting on the build of the instrument. The first post was written on Wednesday 30-Jun-2010 and, today Friday 12-Sep-12104, we have the last. To all our readers over the years, thank you so much for your support, comments and attention. It has been great fun writing for you and, as our web counters indicate, it has been very popular. We have covered so many topics, ranging from the technical, to the tragic, to the humerous, and the downright bizarre. And, it has been a tough project, with real blood, sweat and tears. Yet, it has all been worth it. Even though this web log will now halt, it will remain in place for future reference. For those who still want to read about KAIRA, Sodankylä Geophysical Observatory, and Arctic Finland, the story continues on the SGO web log. This week, we have the last general meeting of the preparatory phase for EISCAT_3D. This project is the next-generation incoherent scatter radar, which will be built in northern Fenno-Scandinavia and, perhaps, beyond. It is an ambitious project, which involved many participants from multiple countries. And, as this particular phase of the project is completed, we are meeting at the Space Physics Institute in Kiruna, Sweden, to discuss the work done, report on the progress made and make plans for the future of this important scientific instrument. KAIRA has been heavily involved in the project. Although a large multi-purpose facility, capable of carrying out multiple receive-type experiments, it has been used specifically to test certain aspects of the EISCAT_3D proposal. Its deployment garnered useful experience in practical matters regarding the development of a new site and the utilisation and integration of commercially available components within the context of Arctic location and cross-disciplinary application. We have also used KAIRA for new signal processing techniques, such as allowing the lag-profile inversion, and thus accomplishing multibeam, remote-location reception of the EISCAT VHF transmitter signal. This is a critically important step in the construction and operation of \EISCAT for multi-beam, multi-static incoherent scatter radar, and thus true 3D volumetric ionospheric measurement. 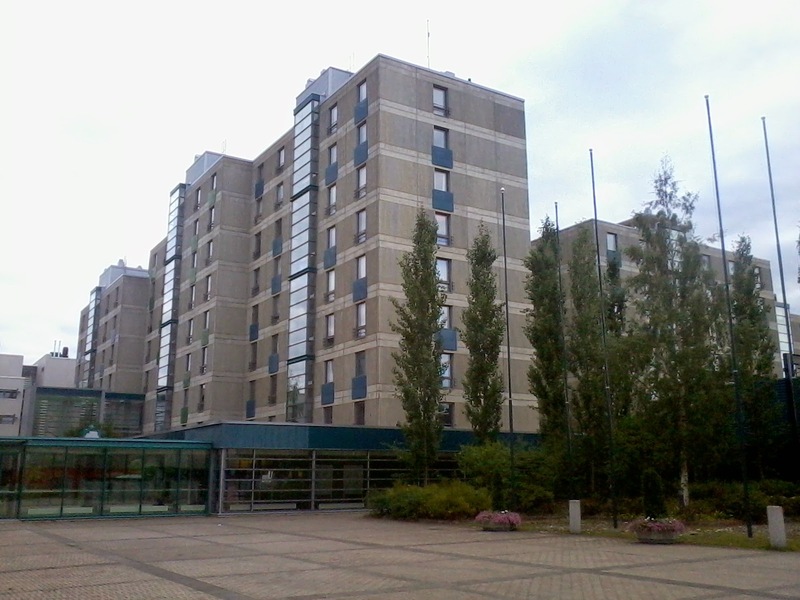 The KAIRA facility remains operational for on-going EISCAT development and prototyping endeavours. Undoubtedly, KAIRA will continue to be involved in EISCAT work, and specifically the EISCAT_3D developments. But as this particular part of the project is accomplished, we want to note our involvement and wish the EISCAT Scientific Association all the best for their future goals. We've just had some parts arrive from ASTRON. The timing distribution boards are being replaced and so we had three arrive in a box from Dwingeloo. 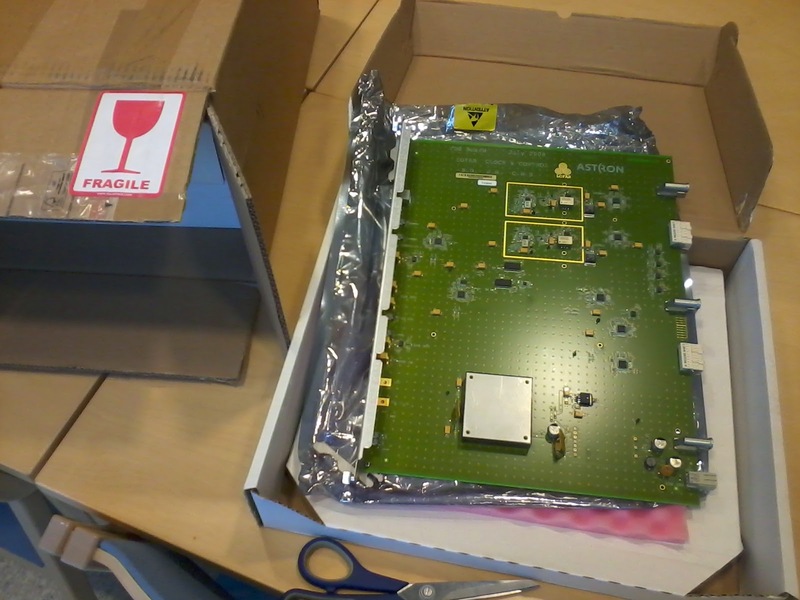 The "Fragile Glass" label on the box got us excited for a moment, but even without any bottles therein, the arrival of new electronics is cool! These will be installed on our next trip to the site and the recovered old boards will be sent back to ASTRON. Last week a couple of us from SGO visited the main university campus in Oulu. As most of our readers will know, KAIRA is operated by Sodankylä Geophysical Observatory, which in turn is part of the University of Oulu. it is quite a long way from Kilpisjärvi to Oulu, but that's where we were last week and have a photograph of the towers of learning to share. There is a new web log. 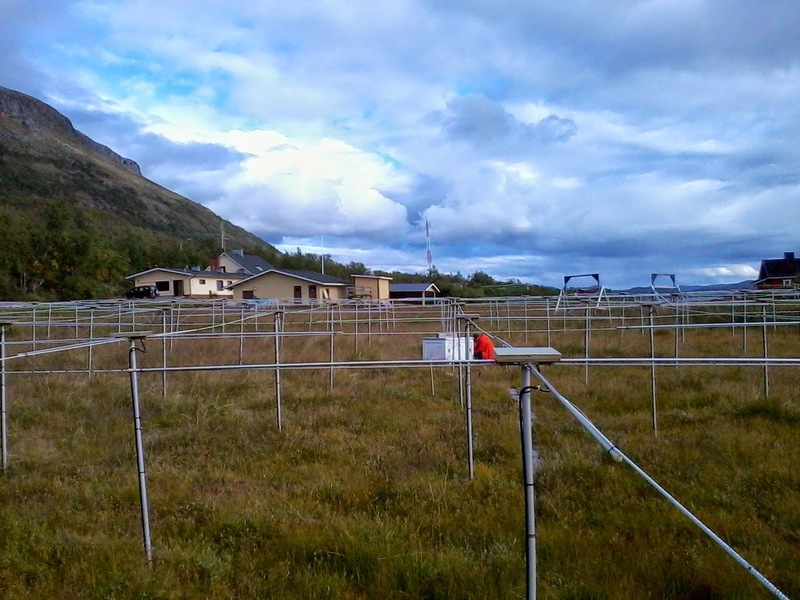 At the end of August, Sodankylä Geophysical Observatory general web log was started. It is being led by established KAIRA author Lassi Roininen and will feature others from the observatory, much more generally than what we have done here. The new site continues along the same path as our KAIRA web log, but the idea is to cover more widely the Observatory activities, including published papers, conference and workshop announcements, reporting on campaigns and extensive research visits, installation of new instruments etc.. Posts will be mostly in English, but with occasional content in Finnish and other languages too. We will also use this new web log for reporting sudden onset events. Naturally, there will also have been some more casual matters from time to time, including anecdotes about life at Sodankylä Geophysical Observatory, the University of Oulu and various other things that form the Lapland experience in Arctic Finland. IRIS is an imaging riometer, located at Kilpisjärvi, not too far from KAIRA. 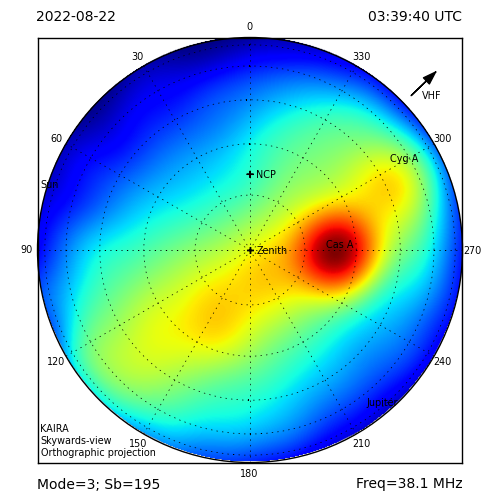 It is a single-frequency riometer and images the ionospheric absorption using fixed multibeams (unlike KAIRA which uses both fixed and tracking beams, as well as interferometry). The IRIS beams are formed using Butler matrices.IRIS is operated by the University of Lancaster, UK, with assistance from SGO. It is quite an old instrument and has been operating since September 1994. Its receiver frequency is 38.2 MHz. KAIRA often runs experiments at similar frequencies (for us, subband 195) in order to carry out comparative experiments.